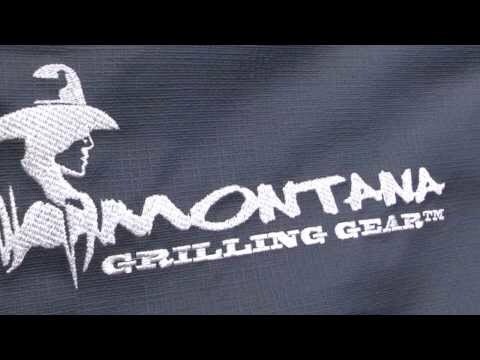 This freestanding grill cover is custom designed with an engineered Inner flow ventilation system which allows air to escape, yet prevents rain and snow from entering. This 90-inch heavy-duty grill cover is flame retardant, resistant to UV radiation, will not crack in the cold weather, and mildew and fungus free. Heavy-duty rings provide support, allowing you to hang the cover while grilling. There are two conveniently located molded PVC ventilated handles for easy grill cover removal and it has velcro tie down straps to keep your cover secure. 44" 24 1/2" 26 1/2" 25"
37" 26 1/2" 26 1/2" 26"